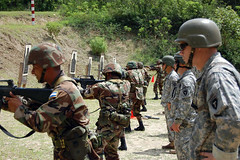 In 2011 the Republic of Honduras became the most dangerous country in the world. With the murder rate rising and wages plummeting, the miitary have now been granted extraordinary police powers. Multinational mining, agribusness, and textile corporations pay poverty wages while the government cooperates closely with the objectives of the US military. The result is what human rights observers like Gilda Batista have described as an unsustainable situation where something big is about to happen. From the streets of Tegucigalpa to the mines of the Siria Valley, something terrible is going on in Honduras, something the internaitonal headlines have been afraid to address. indeed. I was looking for some hope in the words of both guests. seems the hope is for a peaceful mass movement to sweep the powerful out of power.